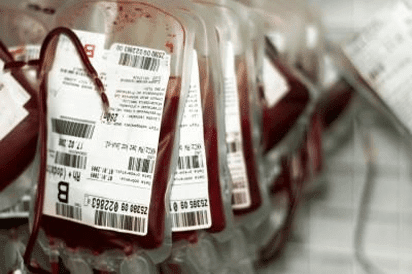 Namibia Blood Transfusion Service (NamBTS) is appealing for donations in order to keep with a healthy level of blood ahead of the Easter holiday and winter, an official on Friday said. The bloodstock levels are currently healthy, but NamBTS officer, Titus Shivute, said that approximately 140 units were needed daily to meet demand. During April, NamBTS needs more than 3,000 blood donations to be able to meet demand. According to Shivute a countrywide Easter campaign to collect blood kicked off on April 6 and would conclude on April 18. The campaign is still ongoing and we are grateful for our regular donors, who managed to donate and now we appeal to those yet to donate to play their part to save lives, he added. Shivute said NamBTS once experienced low blood stock levels in January, as donors were not available during December and mid-January because of the festive holidays. “We are preparing now for Easter and with winter upon us, many donors are not able to donate due to colds or flu,” he added. Blood in Namibia is used in many cases, not just for trauma and emergency patients in need of blood after a motor vehicle accident, but for complications during pregnancy and birth as well.